I would like to thank the team at HarperCollins in Ireland and Avon for an advanced reader copy of this book in return for an honest review. Claudia Carroll has long been one of my favourite author, with her books being one of the most anticipated releases of the year for me every year. You can't even imagine the squeals of delight that came out of my mouth when I saw this coming in through the letterbox. Naturally, I dropped everything and dived into Out Little Secret and as always, I loved every page. Our Little Secret is the story of divorcee, Sarah, who has the perfect life. She's a high flying solicitor and has a beautiful daughter and a lovely home in a great part of Dublin. She's even friends with her ex husband. Sarah has it all. During one of her lunch breaks, Sarah decides to treat herself to manicure, which turns out to cost Sarah much more that €20.00 prince tag, as this is where Sarah meets Lauren. Lauren is a down on her luck, newly qualified solicitor, who no matter how hard she tries, cannot get a career in the legal industry and so she has to work in a beauty salon to pay her rent. 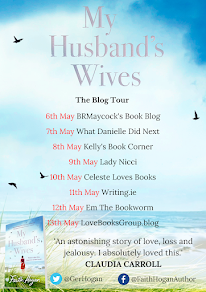 When Lauren hears that Sarah works for one of the most established legal firms in Dublin, she can't help but ask if she can pick her brains, to which Sarah agrees. Sarah's sixteen year old daughter Darcy has found it tough since her mother and father divorced and has started acting out, even leading her to commit petty crimes. When Sarah introduced Lauren into Darcy's life, she has a influence on her, similar to what a big sister might have. Sarah can't believe her luck, that she has found such a gem of a human being. Meanwhile, Sarah's best friend, Liz, can see right through Lauren and she doesn't trust her, not one little bit. My jaw was permanently on the floor while reading Our Little Secret. I couldn't believe some of the things that Lauren was doing to Sarah and her family, but the sad reality is that this does actually happen to people. Our Little Secret shows you how quickly your kindness can be turned against you and how you can be advantage of. Lauren completely takes over every aspect of Sarah's life in this book and Sarah didn't even notice it happening. Claudia Carroll managed to capture me and pull me straight into the story, as always. Time after time, she writes a brilliant novel that has such an easy way about it, no matter what topic is being discussed. I never know how she is going to top her last novel and she manages to do it every single time, with each book being better than the last. I have read so many books already this year and none of them have stood out to me until this one came along. 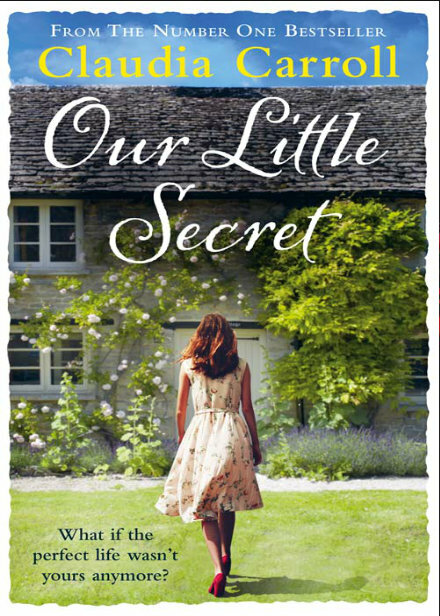 Our Little Secret really is unputdownable and I can see myself reading this one again, which is not something that I generally do. With stories like this, it is so easy to see why Claudia's books are loved the world over. I really cannot recommend this book enough and I will be raving about it to anyone who will listen to me. Claudia Carroll continues her reign as one of the best female authors and judging by this book, she doesn't have to worry about giving up that crown in the near future. 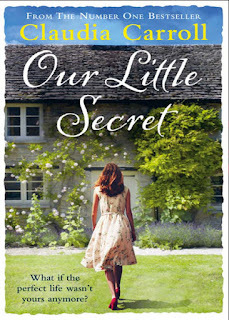 You can buy Our Little Secret here.